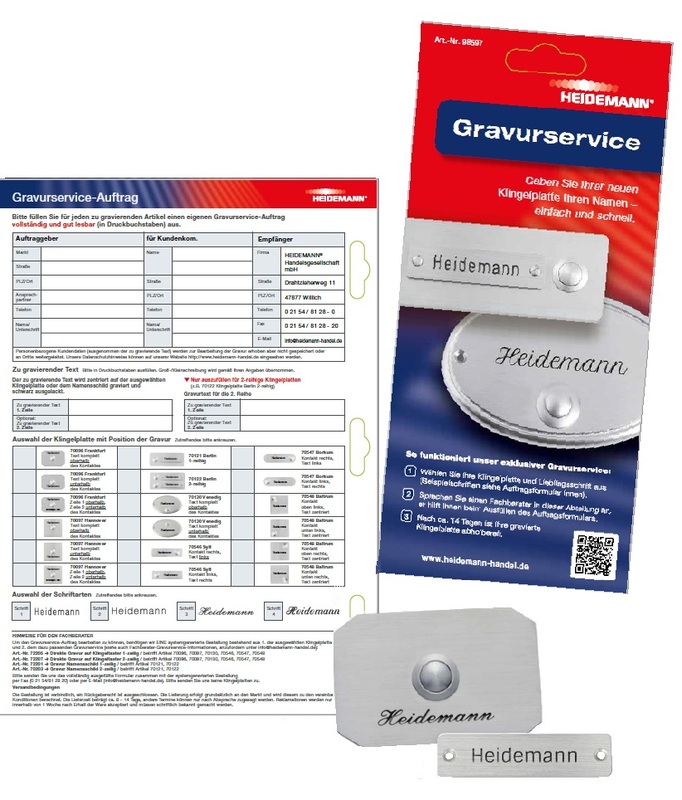 Since it´s introduction in 2000 the Original HEIDEMANN® engraving service became a proofen supplementation. It gives your company the opportunity to offer full service for bell button plates. Including info-note, detailed leaflets and easy order process. We provide our engraving leaflets including the order form and manual to you. The leaflet is structured so that your customer asks your staff for engraving service. The filled order will be send to HEIDEMANN® by fax or email. The usual time of delivery is 8 to 14 days. We deliver the ordered engraved bell button plate to your store – not directly to your customer. Your customer picks up the finished bell button plate at your store.